Owen Sound, ON's Mudtown Records has built quite a community around itself. Not only does the label have its own music festival, but it just released a Holiday Sampler featuring some artists from its roster. The compilation contains 12 songs from different underground acts. It includes Ontario acts like the Electric Environment, Charles Glasspool and the Big Love, and more. The songs span electronic pop, jazzy hip-hop, experimental ambiance, ornate folk, and more. Note that these aren't Christmas-themed songs, although the Gashlycrumb Tinies' "A Wintery Warning" definitely has a creepy holiday vibe. The label wrote in an announcement, "We're very excited to share it with you and hope that you will share it with your friends and family during this holiday season. 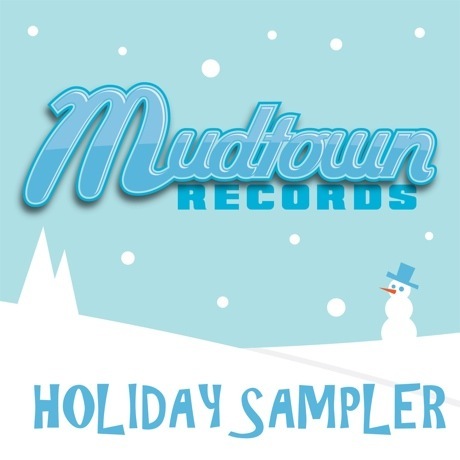 Happy Holidays from Mudtown Records!" It's available for free below.